Kathryn has 7 years of counselling experience. Prior to counselling Kathryn was an Immigration Consultant. 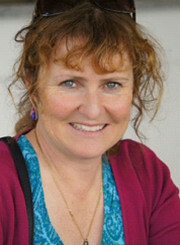 She began working as a counsellor for Lifeline, Auckland. She then worked in the area of addictions including gambling & drug & alcohol for Gambling Helpline. More recently, she has worked supporting individuals who have experienced sexual abuse and trauma for a community counselling centre in West Auckland. At this time she also worked extensively with youth and older primary aged children with mental health issues such as anxiety, depression and self-esteem. Kathryn has worked as a CADS clinician & group facilitator on the North Shore supporting individuals, families & those affected with drug & alcohol problems groups. clients with drug & alcohol and & gambling addictions as well as working with individuals with eating disorders. She is experienced working with individuals at risk of suicide & suicide prevention. Kathryn has worked extensively with depression and anxiety as well as various other mental health issues. Kathryn provides couples counselling in areas such as relationship issues, communication and trust issues as well as conflict resolution. She also provides parenting support and parenting workshops. Kathryn is passionate about advocating for her clients and assisting them to access the services and resources they require. Kathryn thoroughly enjoys working alongside her clients in a respectful, client-centred and strengths-based way. She uses an eclectic approach to her counselling practice to support individual client’s needs. Models of therapy include Narrative Therapy, Solution-Focused Brief Therapy, Mindfulness, Motivational Interviewing, Cognitive-behavioural therapy, DBT & Acceptance & Commitment.